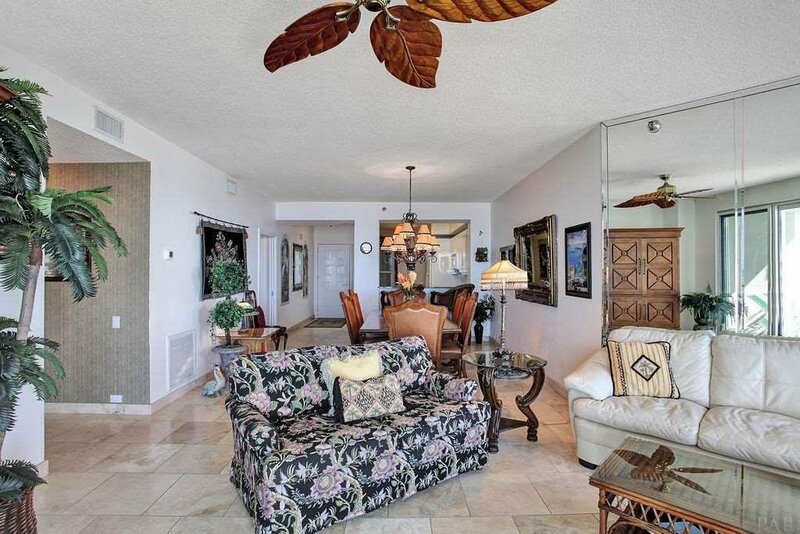 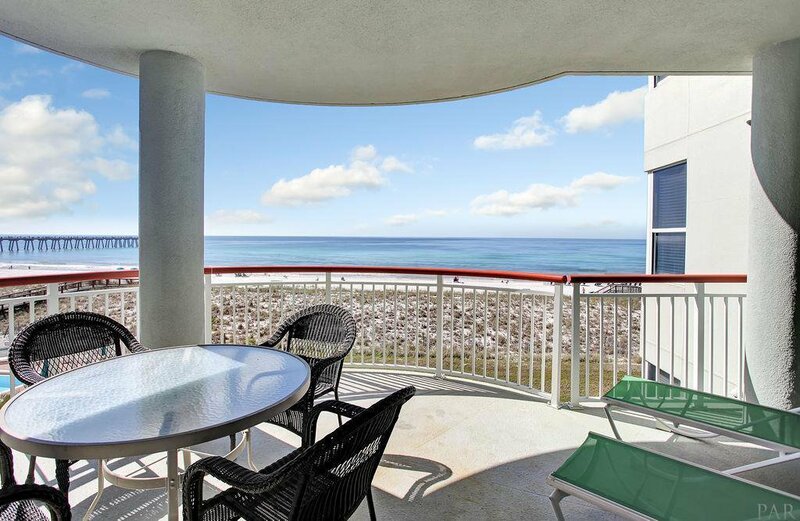 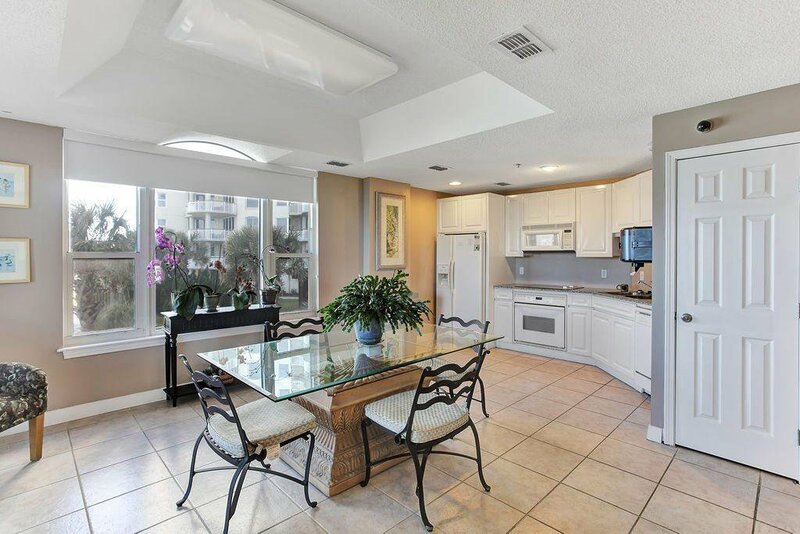 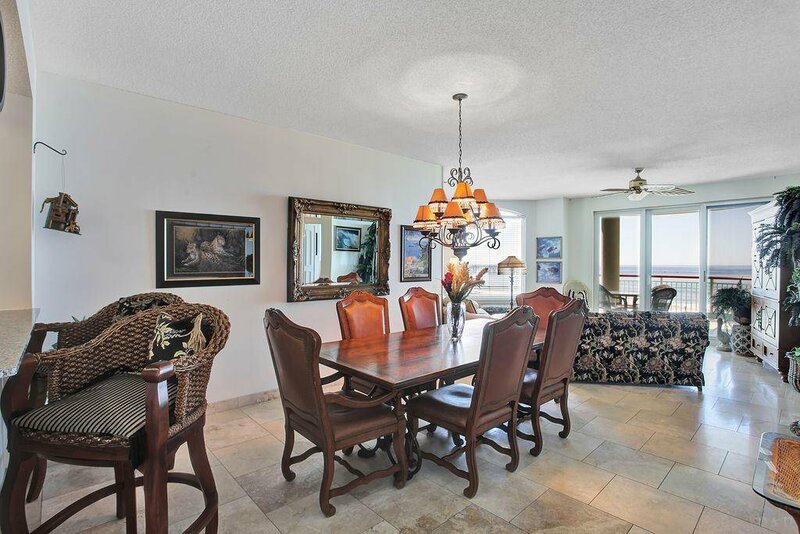 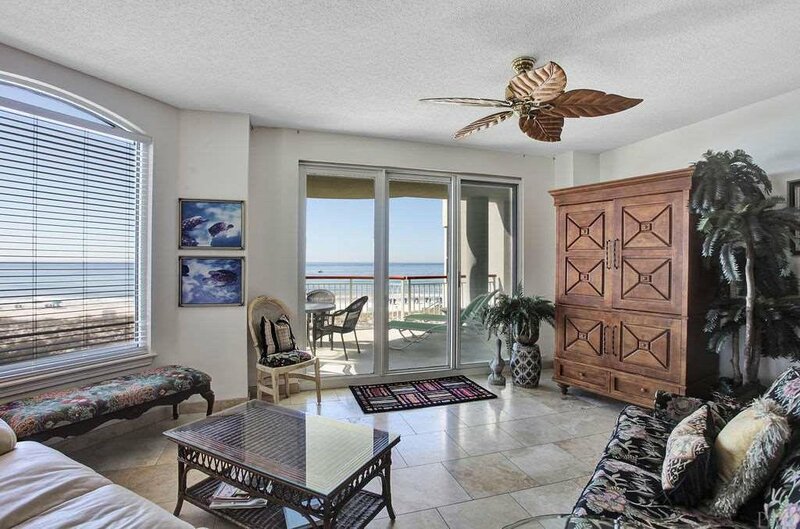 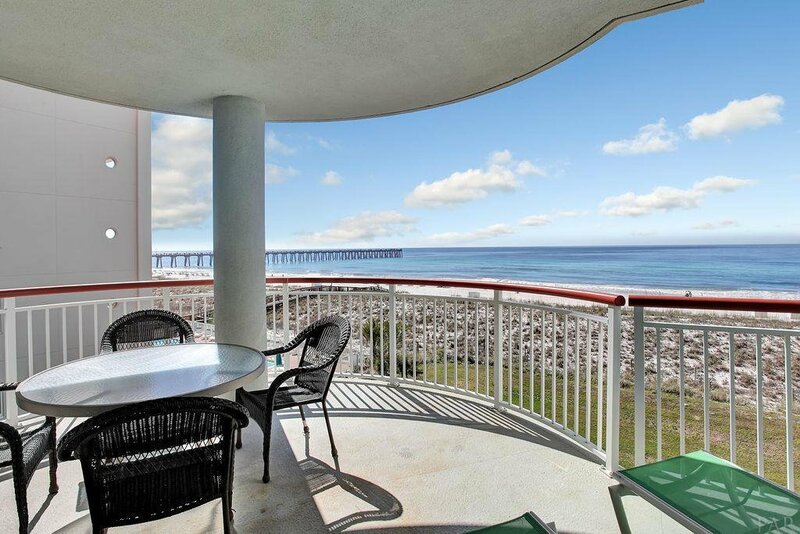 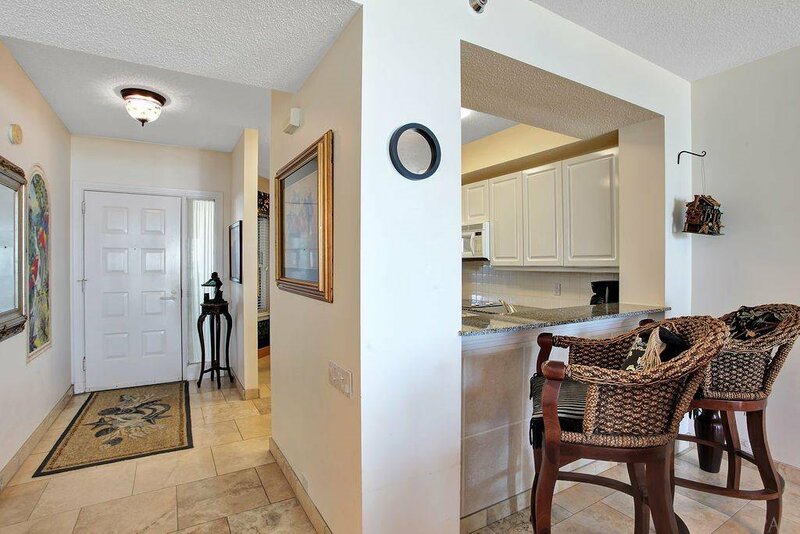 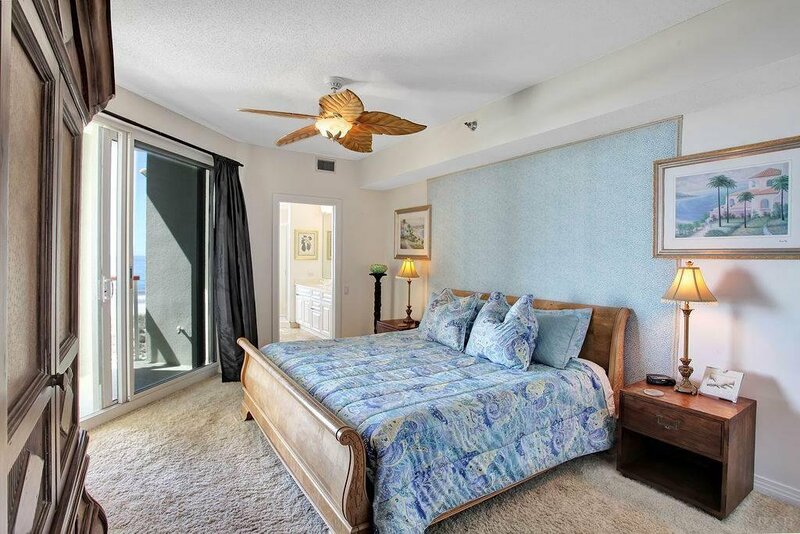 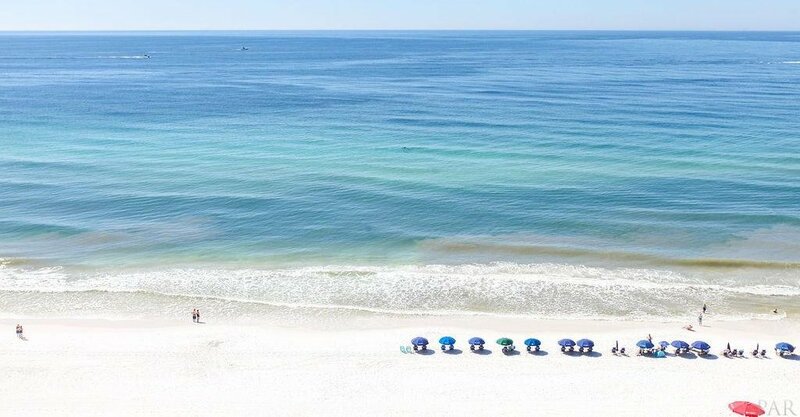 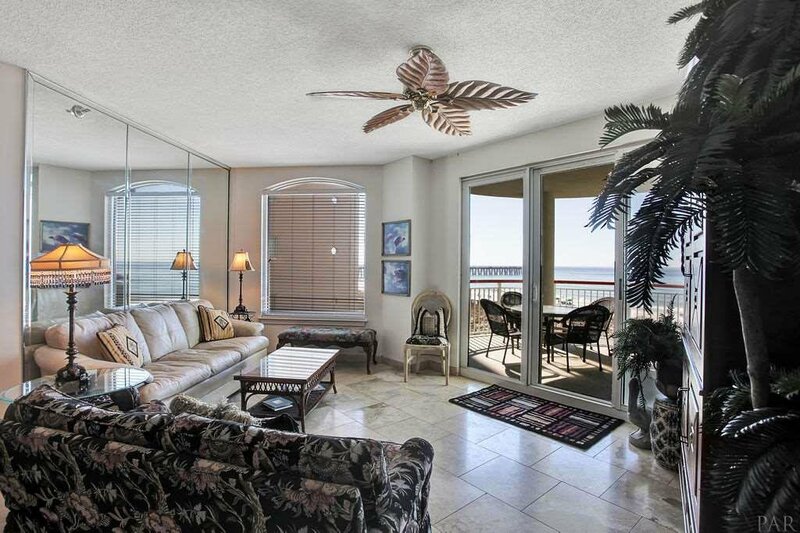 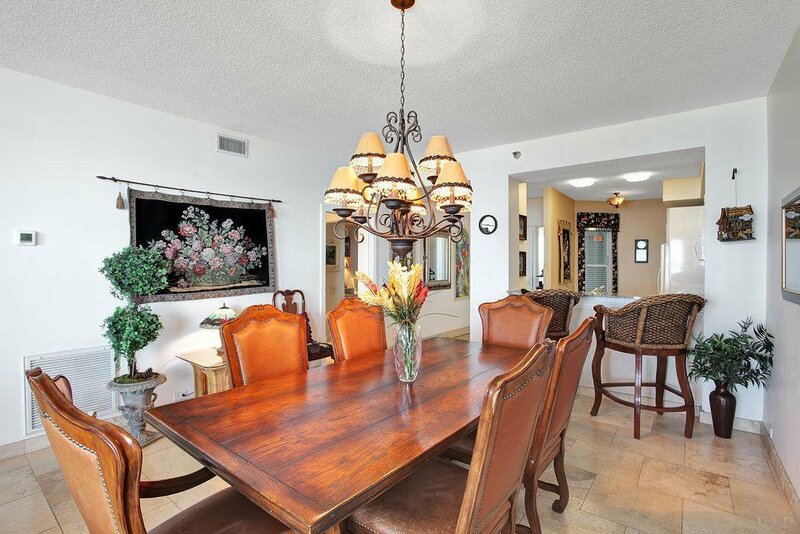 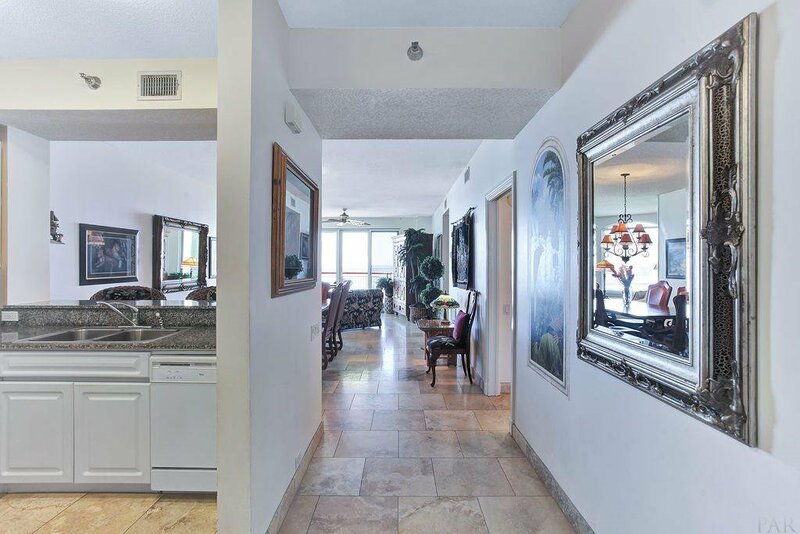 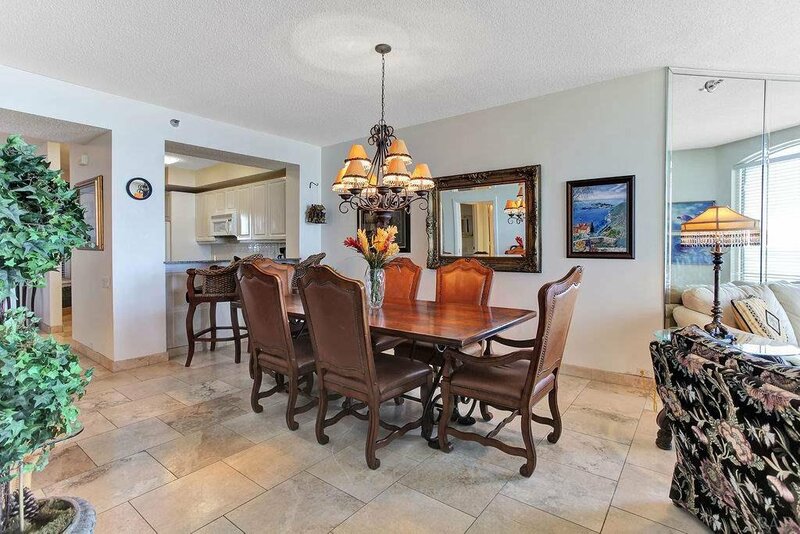 This luxurious fully furnished condominium is located directly on the beautiful Gulf of Mexico. 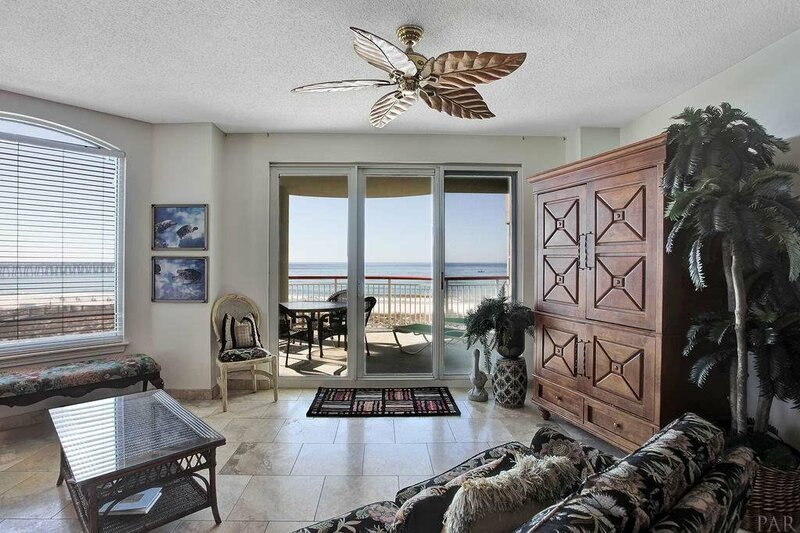 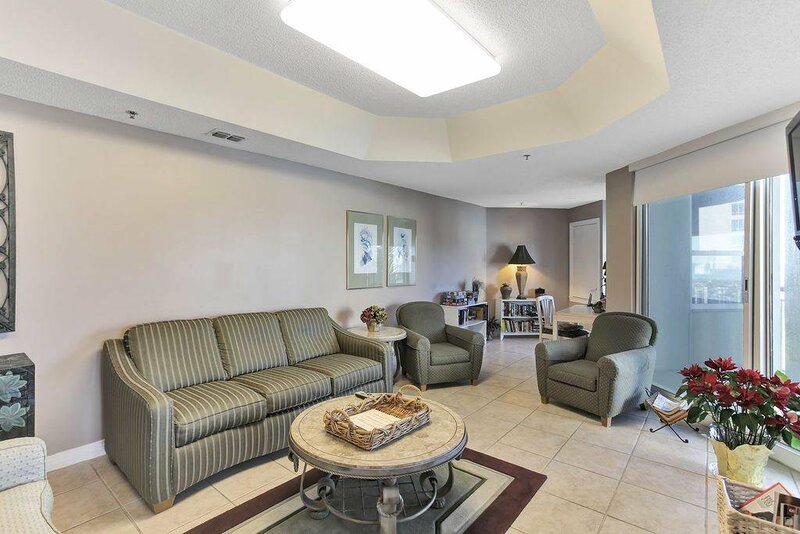 The third floor location has gorgeous views of the emerald green waters where dolphins play and pelicans soar.....you are transformed the minute you walk in the door! 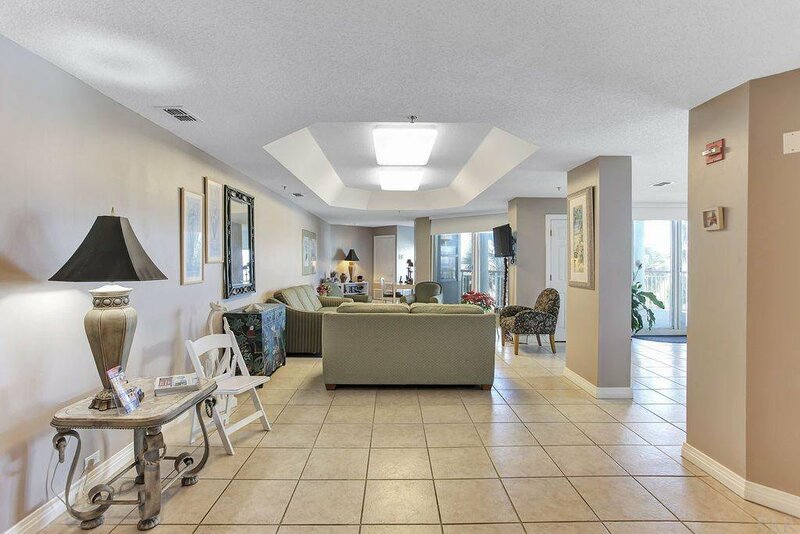 The open floor plan is spacious enough for your group to gather around the large flat screen TV or the dining table that seats 6. 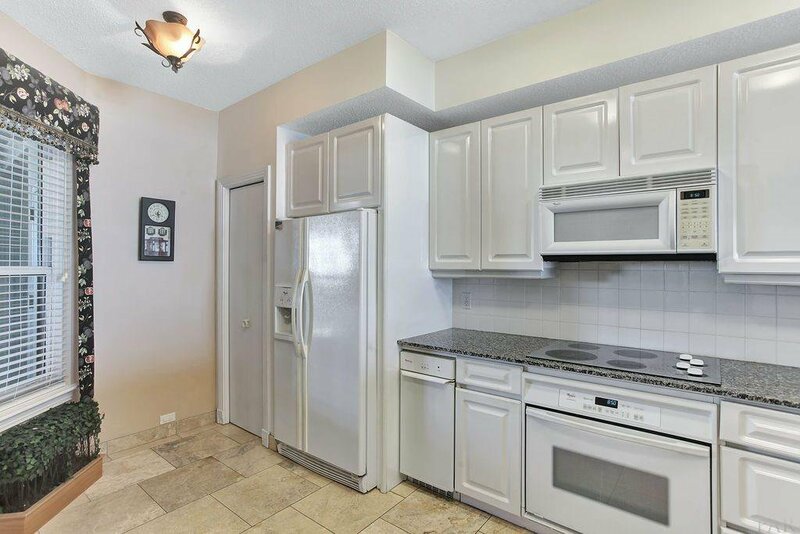 The kitchen is well equipped and roomy enough for multiple chefs. 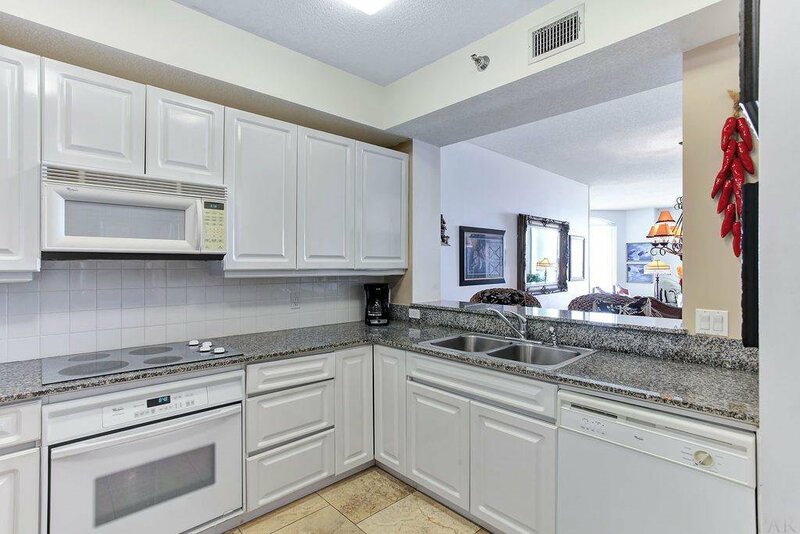 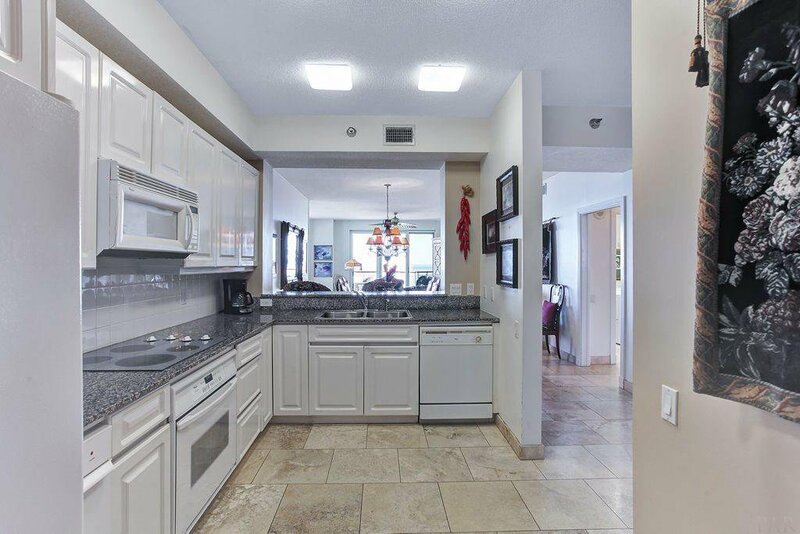 Cook an entire meal or just a snack while gazing out the triple sliding glass doors leading to your private balcony, Travertine marble floors are throughout the great room and kitchen The king sized master suite has an en suite bath and sliders out to the balcony. 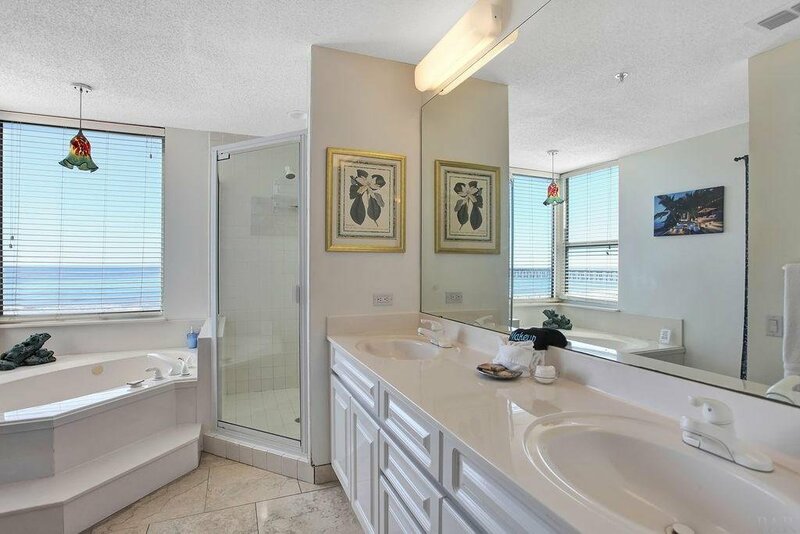 Soak your cares away in the jetted tub with gulf views after a long day of gathering shells and building sand castles. 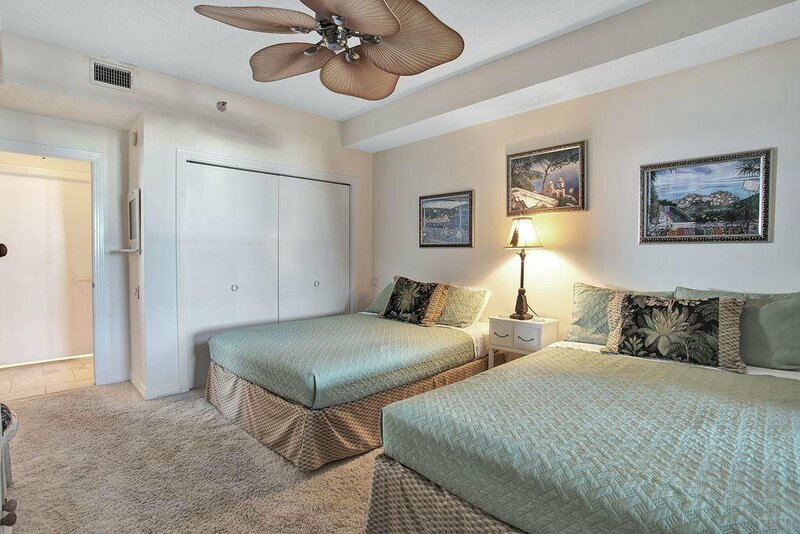 The second bedroom has 2 queen sized beds to accommodate 4. 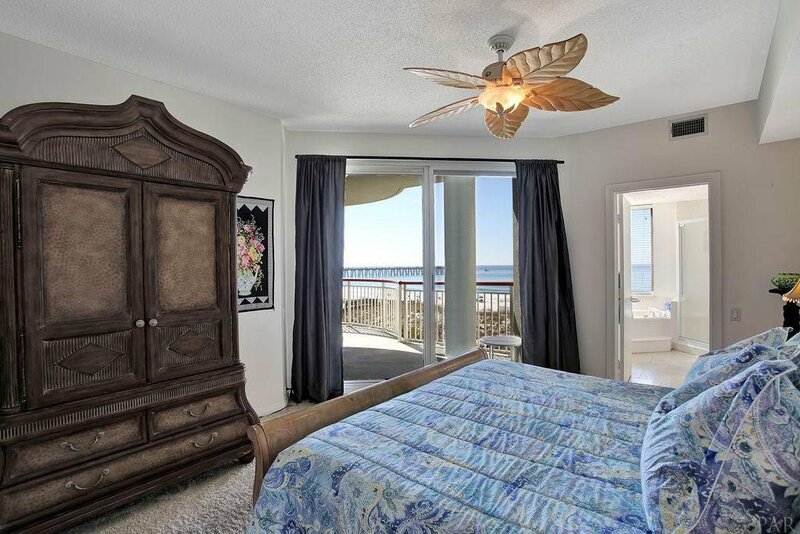 The second full bathroom is adjacent to this bedroom. 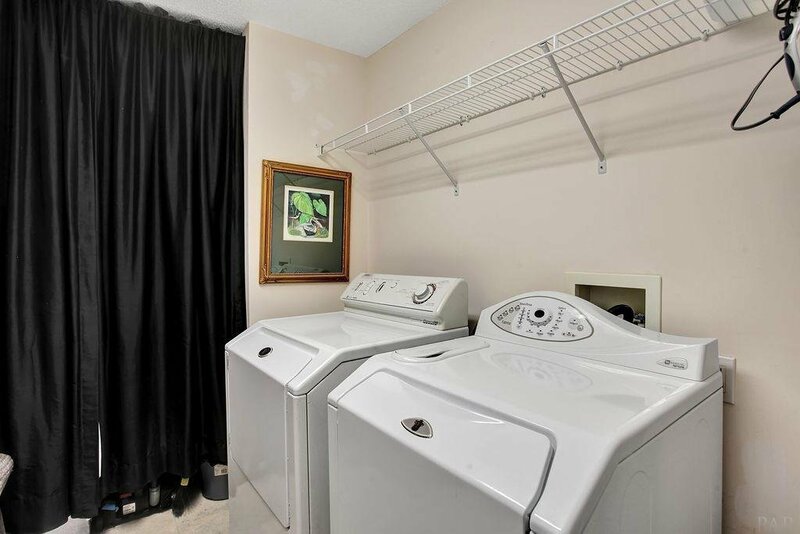 The laundry room with full sized washer and dryer complete the floor plan. 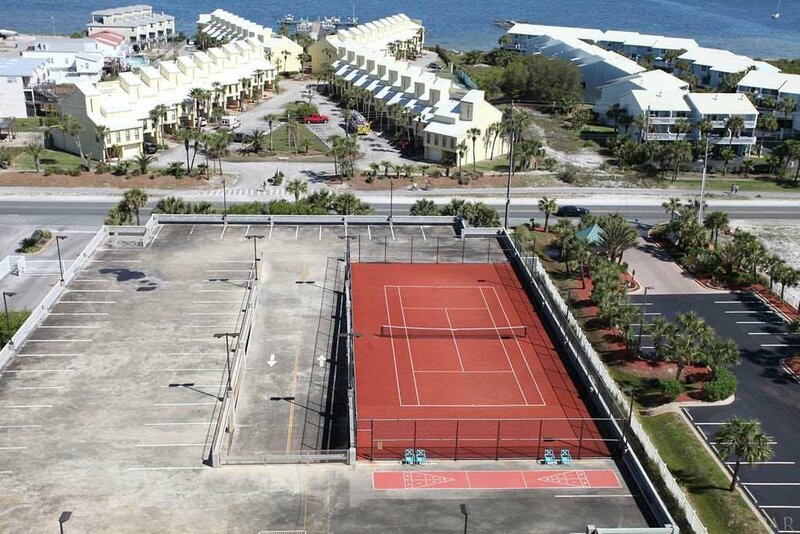 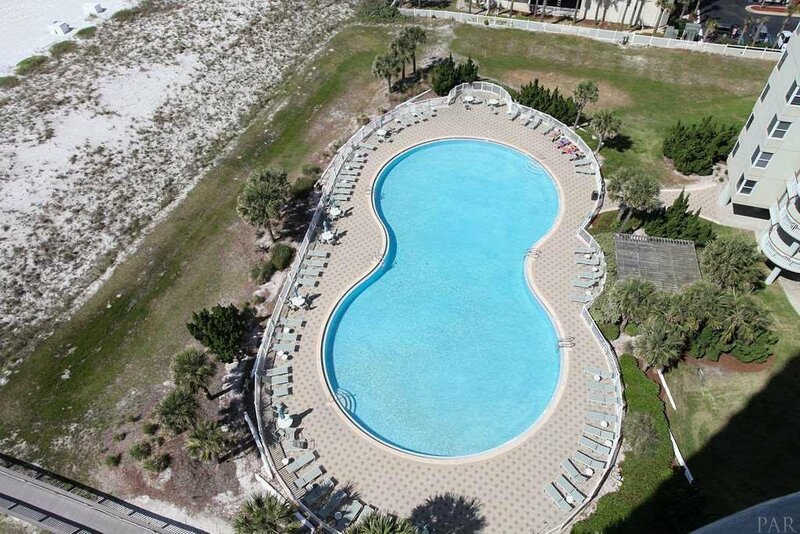 You'll find the largest pool in Navarre just outside your door (heated during the winter season), as well as tennis courts and covered parking. 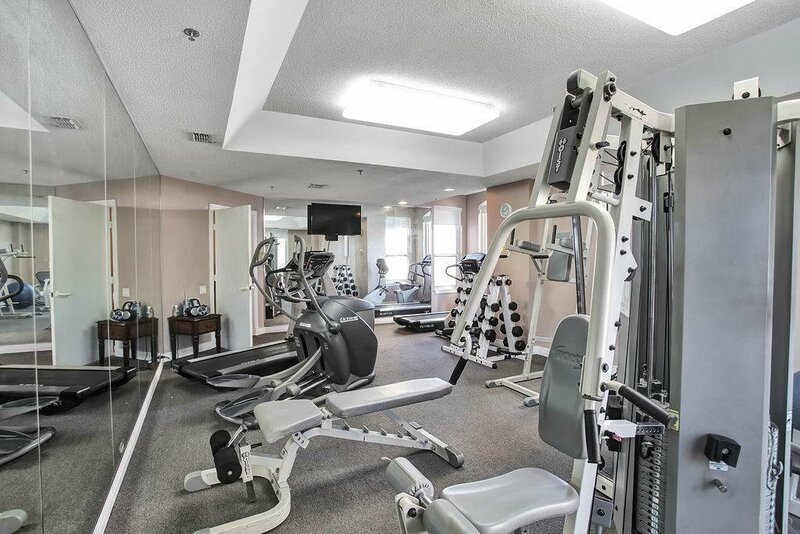 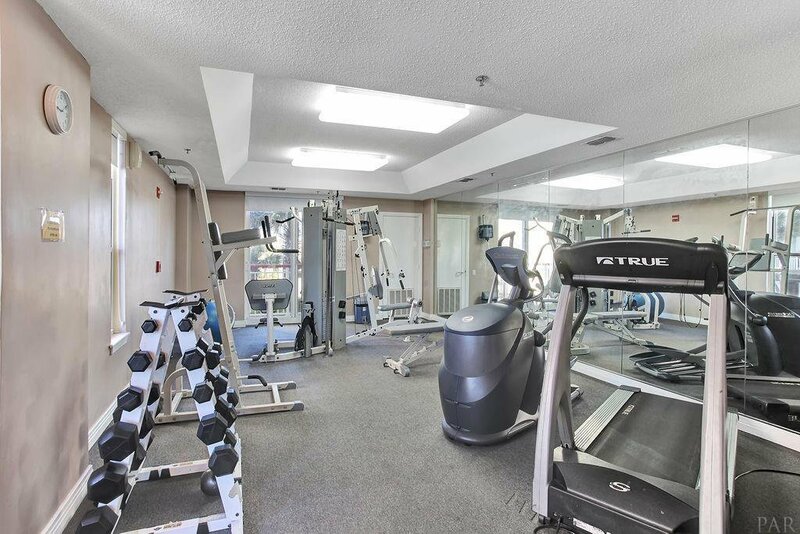 If you feel like working out, there is a fitness center on the first floor for use 24 hours a day. 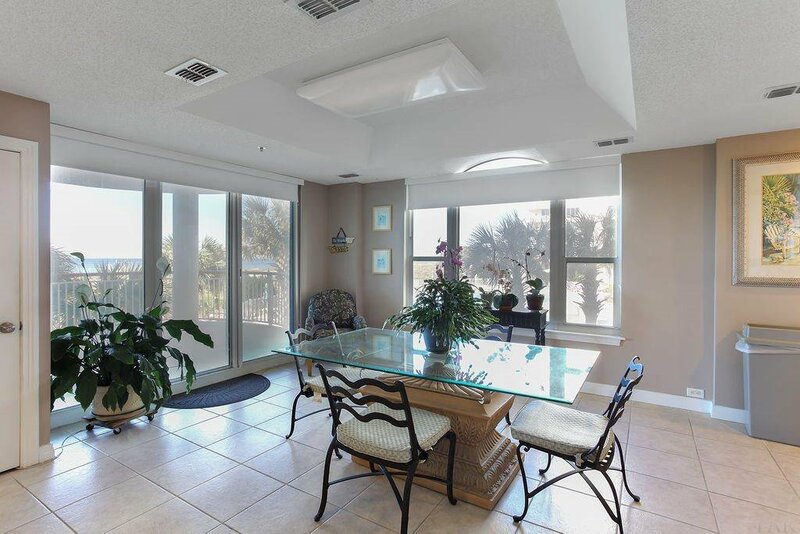 The large grilling area and picnic bench seating are on the ground level near the pool where you can enjoy your meal with a gulf view. 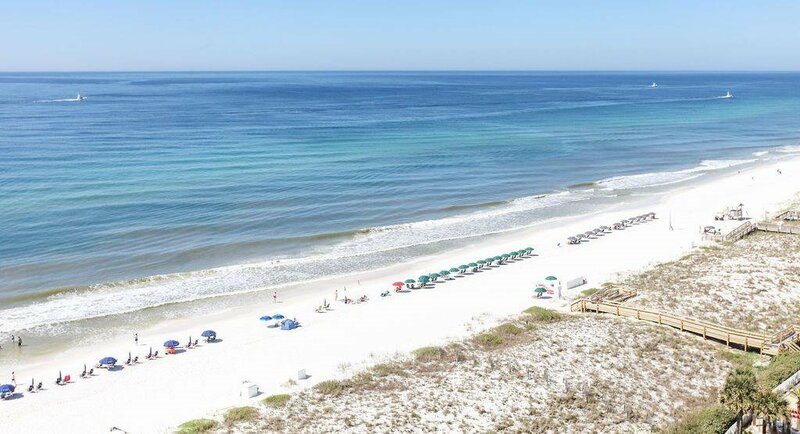 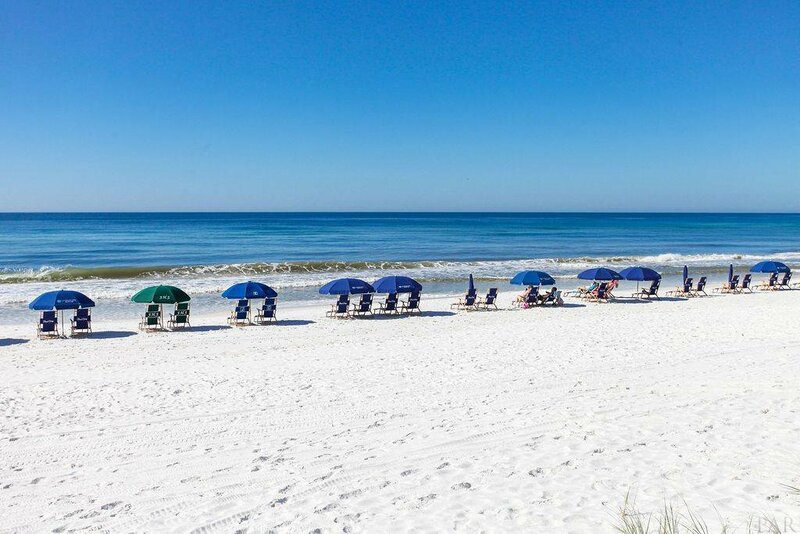 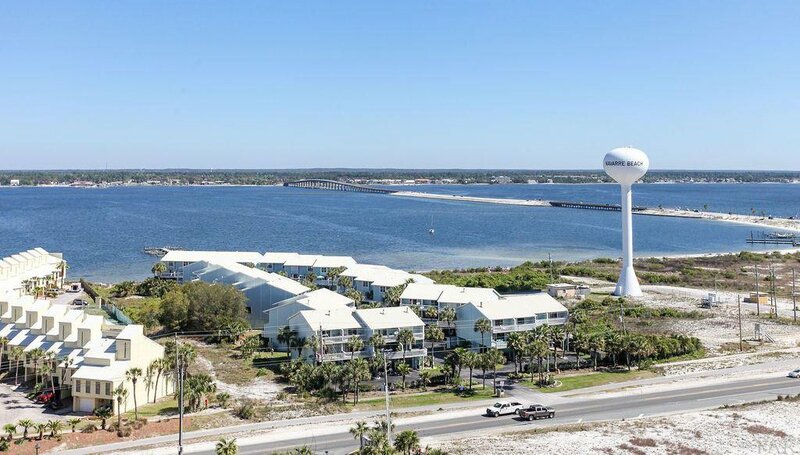 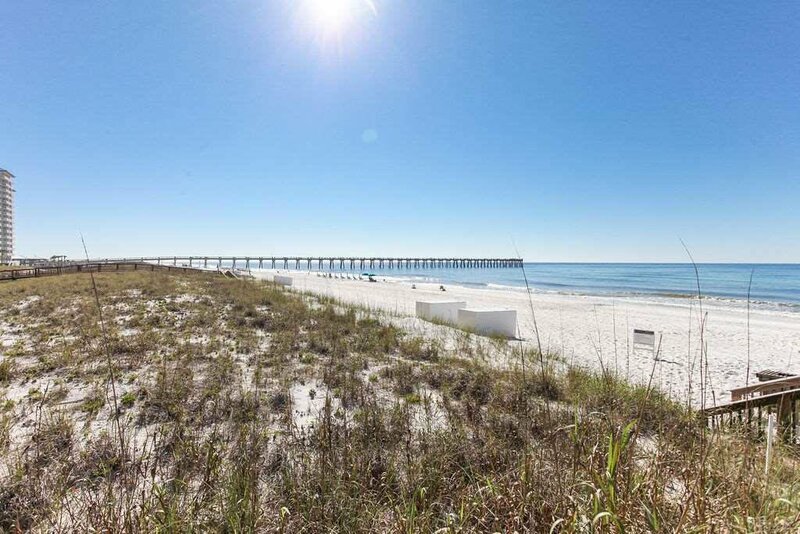 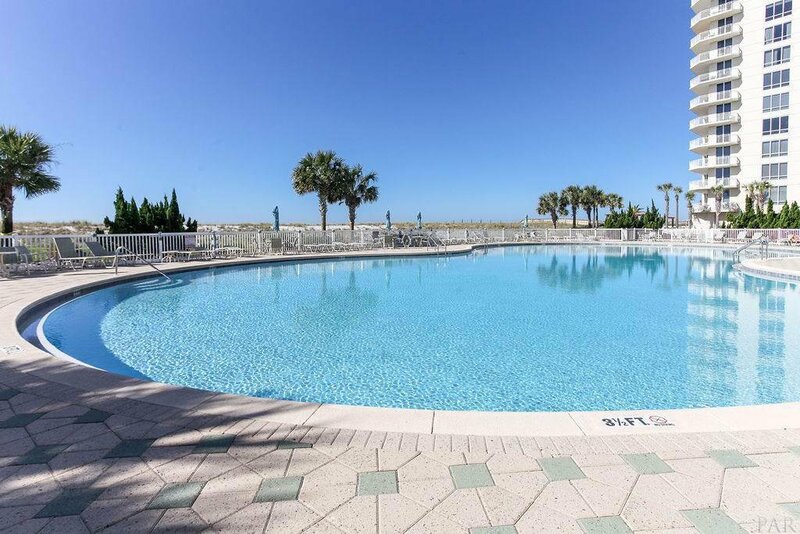 This condo is outdone only by the pristine white sand beach that is accessible from your private dune cross-over, and the proximity to the longest fishing pier on the Gulf of Mexico. 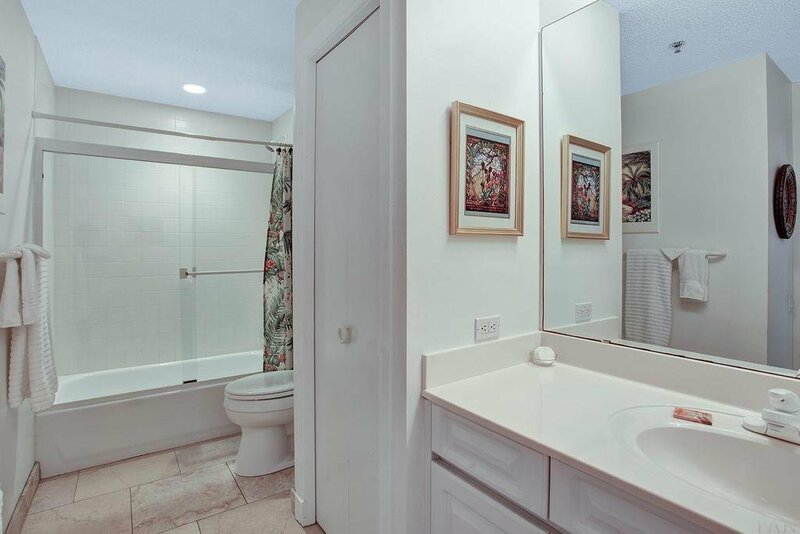 This unit is wheelchair accessible. 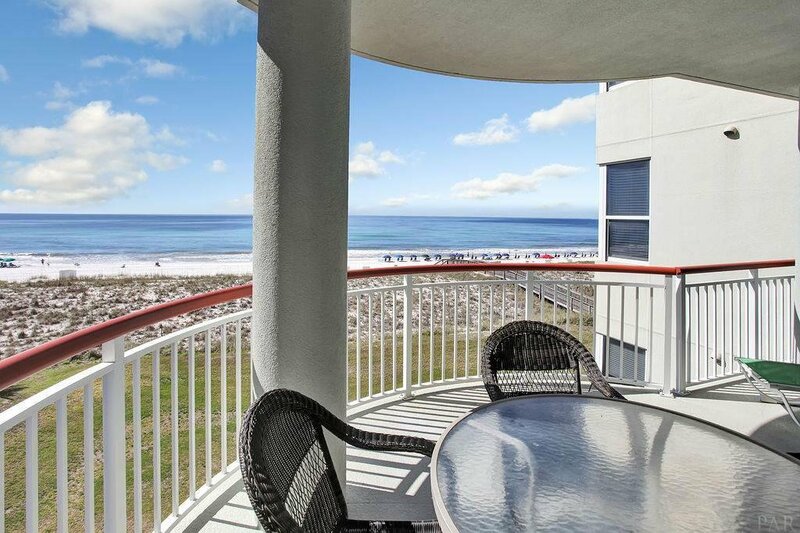 Beach Colony East has everything to make your vacation a memorable one....so plan your trip to paradise where relaxation will be the only task you will have to accomplish!